The scorching Georgia heat radiated off the black tar of the parking lot where I stood waiting to meet my son. He was running late, and I was quickly running out of patience. To make the most of the delay, I pulled out my cell phone to check emails. But as soon as I read the first sentence, the sickening sight of a blank screen and dying battery appeared, and my frustration level escalated. I felt a slight, welcomed breeze blow through my hair as I looked for a shady place to sit, and I glanced toward the sky to see if a summer storm might be brewing. That’s when I noticed the lone tree topped with limbs forming a perfectly shaped cross. The beautiful scene stopped me in my tracks as I felt God nudging me with a reminder that my day had been so jammed with appointments and to-do lists, I had not taken time out for HIM. He too had been waiting for His child to meet Him…and she was too busy. Joy and peace were blatantly absent from the hours leading up tho this moment, but my frustration melted into joy while I treasured this heaven-sent gift. I did not schedule this divine appointment, but I am so thankful that He interrupted my chaotic life with a holy meeting. I pray that God will open your eyes and ears to the sights and sounds of mountains singing and trees clapping their praise to Him…or growing their limbs in the shape of a cross! Make your time with Him a priority, and He will fill you with joy and guide you peacefully through your day. We may not walk on water, but we do walk through periods of tumultuous circumstances in life. If we focus on the swirling waves of difficulties surrounding us, we can easily feel like we are being swallowed up by the surge of life’s problems. Peter experienced a rather unusual example of God’s power when he went over the side of the boat and walked on the water toward Jesus. His faith in Jesus gave him the courage to throw his leg over the side of the boat and step out into the stormy sea. However, his faith wavered when he realized what he was doing. Once he took his eyes off Jesus and focused on the crushing waves around him, he began to sink. Like Peter, we often start out with great intentions. We may be “prayed up” and filled with holy confidence before we begin to face the day. But once we wade into the undulating sea of life, our faith begins to falter, and we sink in despair. We feel ill-equipped to navigate the storms that batter us. Yet this doesn’t mean that we have failed. When Peter’s faith faltered, he immediately reached out to Jesus. In his time of greatest fear, he called on his Savior to rescue him. When you are afraid of the troubles that swirl around you, keep your eyes on Jesus’ power rather than your own inadequacies. Call out to Him for help, and He will rescue you from the stormy seas. Go in confidence and grace—no rushing, no frantic escape. There’s no need to be anxious—the Eternal One goes before and behind you. The God of Israel paves the way with assurance and strength. “Our yesterdays present irreparable things to us; it is true that we have lost opportunities which will never return, but God can transform this destructive anxiety into a constructive thoughtfulness for the future. Let the past sleep, but let it sleep on the bosom of Christ. Leave the Irreparable Past in His hands, and step out into the Irresistible Future with Him.” (Oswald Chambers, My Utmost for His Highest (1956). Section “December 31”). God is the God of your yesterdays, your todays, and your tomorrows. 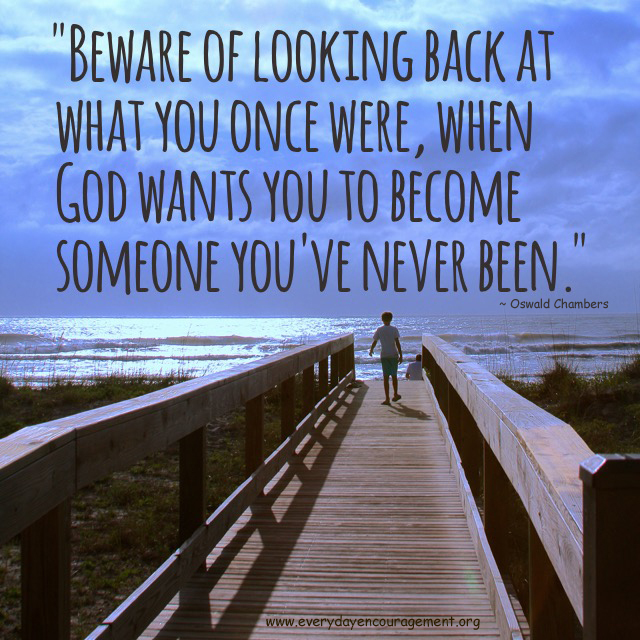 Often memories of the past keep you from fully experiencing God’s grace and joy for today. It’s possible that you are longing for days gone by because they were happier times (the good ‘ole days), or it could be that you are wallowing in the junkyard of past memories, allowing the blunders of the past to overshadow God’s blessing for today. In either case, you are stuck in the quicksand of yesterday, and you can’t move into the future that God has in store. So today if you are experiencing deep waters of difficulty, and you feel like you’re in way over your head, don’t be afraid and don’t lose hope. God knows you by name, and He knows every messy detail of your life. He’s right beside you in the rough waters, and He will bring you safely through them ~ You will not go down. This feeling you have, like you’re between a rock and a hard place, is only temporary. God has big plans for your future, and He can use everything you’re experiencing for your good. Your Savior paid a huge price just for you ~ That’s how much you mean to Him! That’s how much He loves you! Trust that He is capable of bringing you through this tumultuous period. 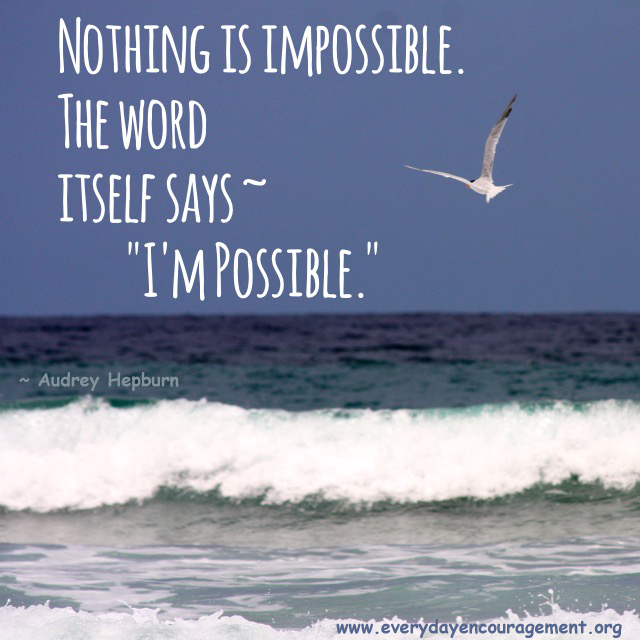 Nothing is impossible for Him, and there is no limit to the boundless strength He can provide for you. With Him by your side, you can endure anything. 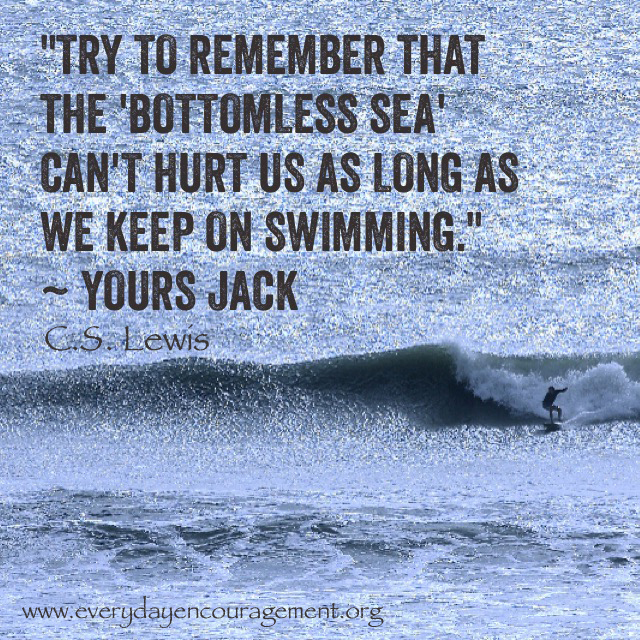 “Try to remember that the ‘bottomless sea’ can’t hurt us as long as we keep on swimming”…with God! I am the True God. If your mind is whirling with anxious thoughts, take time to simply be still in the presence of God, thanking Him that He is already in your future. Relax in the knowledge that He is in control of every detail of your life. 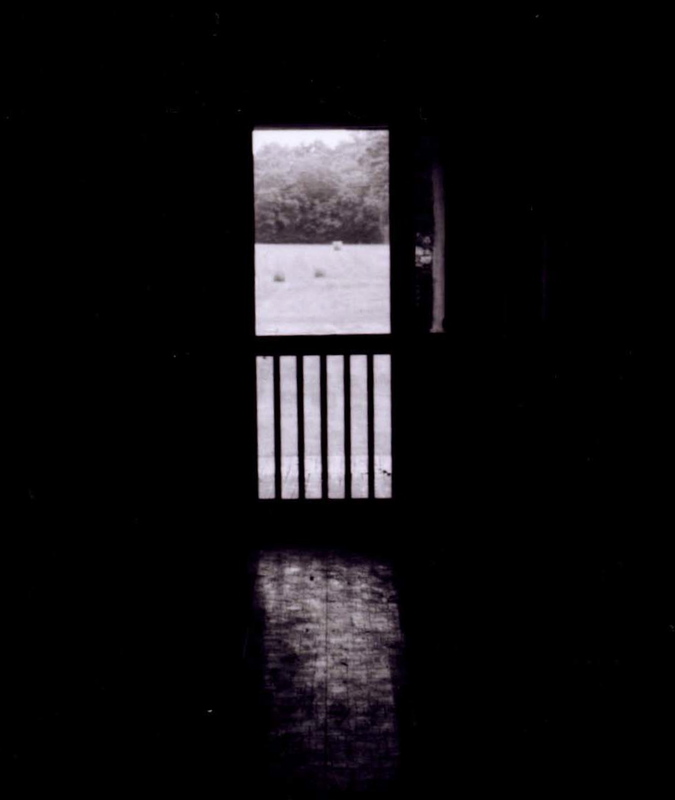 The things you are worried about right at this moment will probably never happen, so why waste your time and energy with useless, tiresome fretfulness? You don’t have to pre-plan for every possible scenario. Your Heavenly Father knows the future, so go to Him with all your apprehensions and concerns and trust that He will equip you to handle whatever comes your way. Quiet your mind and take in deep breaths of His indescribable Peace. Allow His holy presence to permeate your thoughts and calm your spirit. Notice how the knots in your stomach gradually dissolve as you place your trust completely in Him. Be confident that He is watching over your life, and know that He is with you every step of your journey. Give all your cares to Him and receive the precious treasure of His Peace. 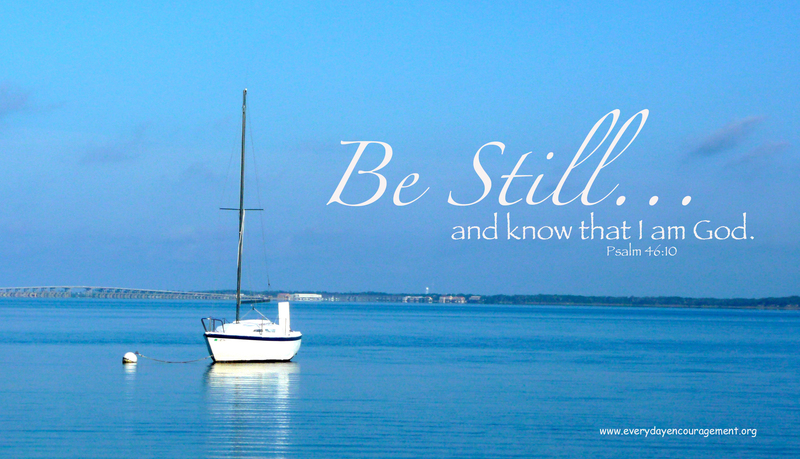 Simply be still…and know that He is God. “Look! I’m making everything new. By opening the door of your life to Christ, He promises to bring about a glorious transformation inside of you, and you’ll be renewed from the inside out. There’s no better way to start out the new year than by accepting the gift of a fresh start with God. He alone can erase the pain of your past and the mistakes you’ve made along the way. You don’t have to spruce up for God or clean up your act before turning to Him. He meets you right where you are with His limitless love and grace. By inviting Christ to be the center of your life, He’ll be the compass guiding you along the path to your very best future. 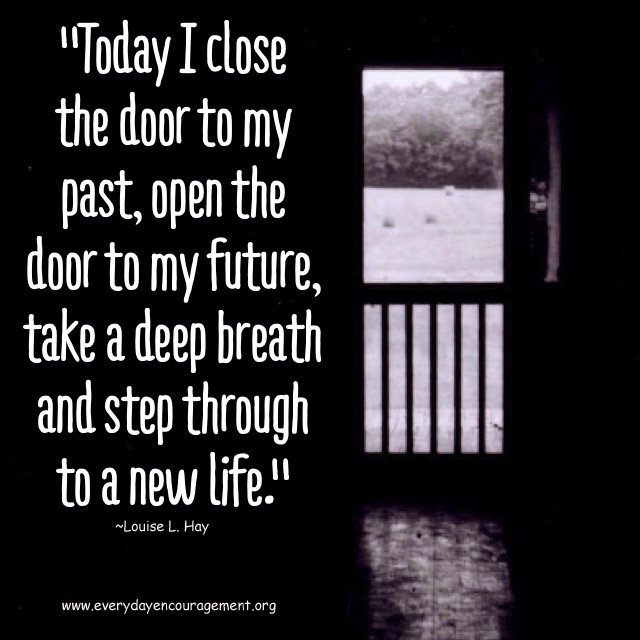 Now take a deep breath, close the door to your past, open the door to your best future, and step through to a new life with God! With God, nothing is impossible! What an encouraging, universal truth. Though the demands you face today may seem insurmountable in light of your own limitations and weaknesses, remind yourself that The God of All Possibilities is right beside you, as an ever-present help. He simply asks that you trust Him and stay connected to His limitless resources through each moment of the day. When anxiety invades your thoughts and you feel overwhelmed, turn your attention away from obstacles and difficulties and focus on His capabilities, rather than your inabilities. When troubles seem near, God is nearer, and He’s ready to help. Remember that He is able to do exceedingly abundantly more than you could ever imagine or request in your wildest dreams. If your life’s purposes and actions are directly aligned with God’s will, nothing can derail you. Listen for God’s voice in everything you do, every moment of your day. Trust Him to illuminate each step of your journey and to equip you to handle any problems that come your way. It’s through your weaknesses that God displays His infinite strength, so His power working through you is an unstoppable combination!